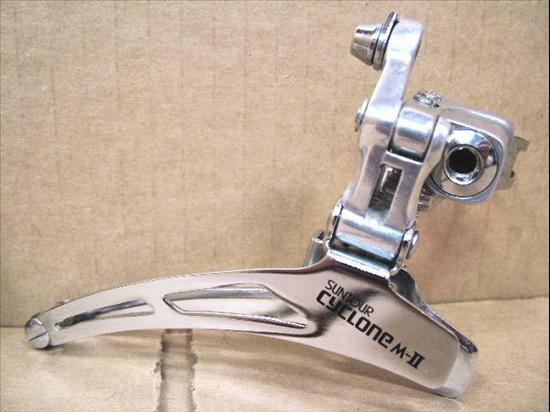 Cyclone Mark-II or MKII derailleur. Desginated on box as a Touring derailleur, but appears to be a double chainring design. Can probably handle triples as well.